You’re settled in with your popcorn, your cozy blanket, and your dog with his head on your lap, ready to watch your go-to feel-good movie—and you realize your lights are still on. You could disturb your happy dog, risk spilling your popcorn, and get tangled in your blanket trying to get off the couch—or you could use your smart light switch to dim the lights without moving. And smart light switches aren’t just for your inner couch potato. They can also help you limit energy use and discourage burglaries if you’re out of town. There are quite a few to choose from, so we’re here to help you find the right one for your home and wallet. *Prices listed based on listed Amazon prices as of this writing. Data effective 1/14/2019. Prices and availability subject to change. Wemo’s smart dimmer is our favorite smart light switch because it includes time-saving features without getting too pricey or complex. 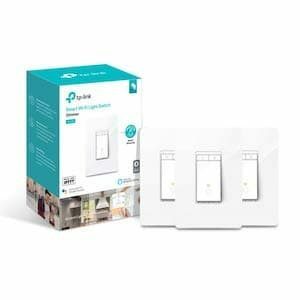 Plus, unlike some other smart switches, it works over your home’s existing Wi-Fi instead of using an additional Z-Wave or Zigbee hub, which helps keep your costs down. This smart switch lets you turn your lights on and off with an app and set lighting schedules. It also offers an Away mode that randomly turns your lights on and off to help convince would-be bandits that someone is home. And because the Wemo switch works as a dimmer, you can adjust your lights to use less energy, set a mood, or reduce eye strain when you’ve got a headache. Plus, since this smart dimmer is compatible with Alexa, Google, and Apple devices, you can pair it with a smart speaker to add voice control to your lighting setup. 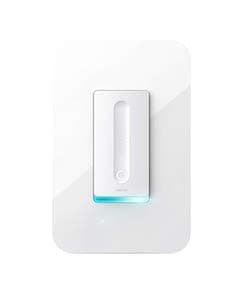 We love the Kasa smart switch because it’s affordable—great if you want to outfit your whole home with smart switches rather than just one room. It can’t dim your lights, but it does let you control lights with an app and program schedules. Handy features if you’re looking for ways to reduce your energy use. 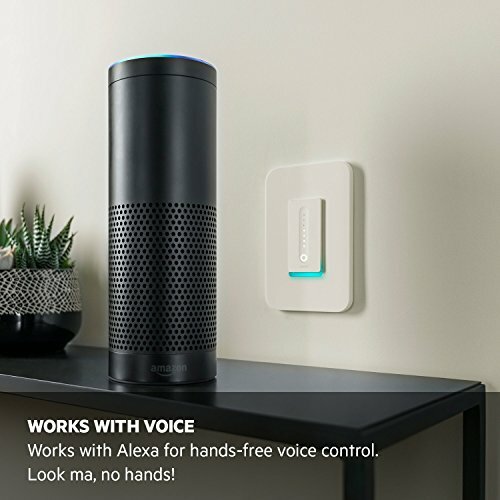 It also works with Alexa devices and the Google Home, which means you can control lights with your voice if you connect the switch to a smart speaker. Lutron Caséta’s smart lighting dimmer kit is an excellent product, but we ranked it a bit lower because it requires a hub and because the dimmer switch alone usually costs about the same amount as switches that don’t need hubs. But if you don’t mind paying a bit more for a hub, Lutron’s kit is extremely capable—you get app control, dimming abilities, and scheduling. You can also sync it with other smart home devices to program scenarios. For example, once you have the Caséta Smart Bridge, you can sync your lights with Serena window shades. Plus, the kit comes with a remote. After you install the switch in your wall, you can stash one by your couch or nightstand so you can turn your lights off and on even if you’re burritoed in a blanket. Replacing your current light switches with any of the switches listed above will require a bit of electrical work. If you’re not up for digging out your tool set, finding your electrical breaker, and rewiring things, we sympathize. But don’t worry—you can still live your dream of controlling lights without getting off your couch. The smart switches below can be installed without any tools or electrical work. The Switchmate isn’t the prettiest smart switch out there, but it’s the simplest to install. You just snap it in place over your existing light switch. It shouldn’t take you more than a few seconds. You won’t need any extra equipment like a hub. 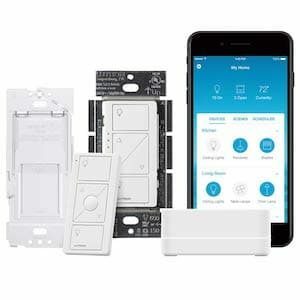 It’s a bit clunkier looking than the rest of the smart switches listed here, but it includes motion detection, voice control, and a mobile app, so if you want the perks of a smart switch without the hassle of wiring, the Switchmate is a great solution. That said, it’s a fantastic switch if you’ve already got the Philips hub and smart bulbs. 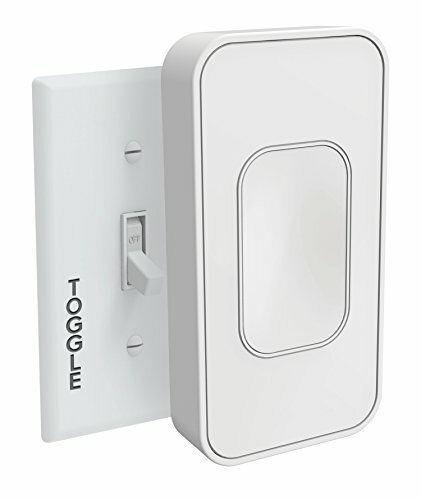 It costs quite a bit less than most smart switches and installation is so easy it’s basically inconsequential—the base sticks onto the wall with built-in adhesive—no wires or screws needed. 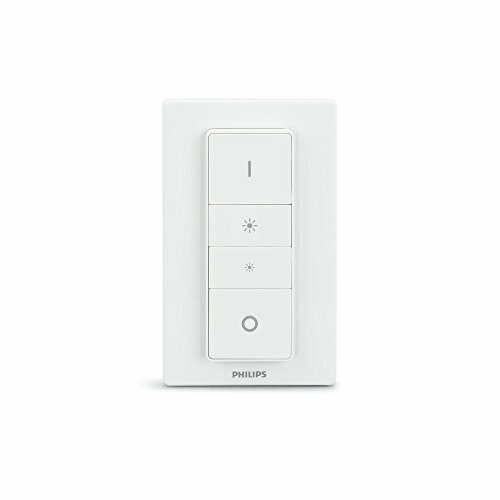 Since the Hue dimmer doesn’t have to replace an existing light switch, you can place it wherever is most convenient, whether that’s next to your bed or on the wall by your front door. The actual switch snaps into the base magnetically, which means you can remove the switch from the wall whenever you want and use it as a remote. 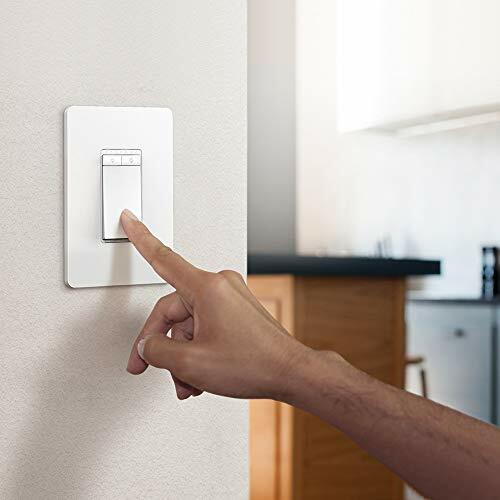 Smart light switches are a great, affordable solution if you’re looking for ways to save energy and make your life a little simpler. Any of the switches on this list will do the job, but we think the Wemo Wi-Fi Smart Dimmer is the best solution for most people. For more smart shopping advice, check out our recommendations below to help automate your home.